The attention for quality starts at the beginning: the purchase of a healthy laying hen. As an egg dealer we know our product very well. 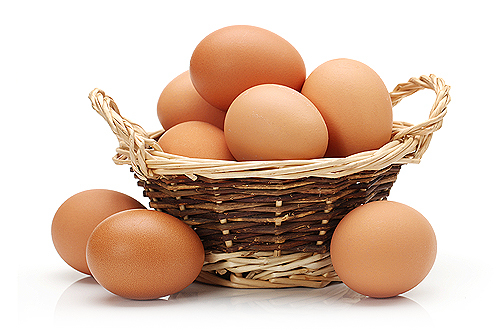 Besides a supplier, we are also a producer of eggs. 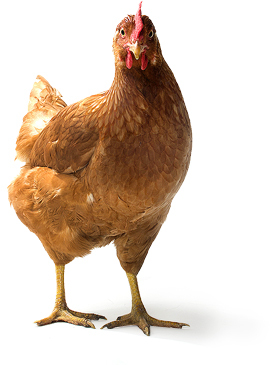 The attention for quality starts at the beginning: the purchase of a healthy laying hen. We own several poultry farms in The Netherlands and Germany where organic, free range and barn eggs are produced. The laying hens get a lot of space within an organic stable. Inside they share every squared metre with a maximum of 6 hens. Outside every hen possesses a minimum of 4 squared metres of overgrown run-out. The recipe is completed with organic food. The production of barn and free range eggs takes place in similar stables. There is only one difference: 9 laying hens are sharing one squared metre in the stable. Also, the free range hens possess 4 squared metres of overgrown run-out per hen, just like the organic laying hens. For decades, we are going in front when the development of stable outlines and shelter systems is concerned. In 2001 we already won a Poultry Trophy for this. Our opinion is that every laying hen deserves a good life and every consumer an honest egg.